Busy working on your 2016 taxes? Already done … good for you! Either way, we thought it was a good time to highlight the tax benefits of homeownership. Because of tax breaks that are exclusively for homeowners. 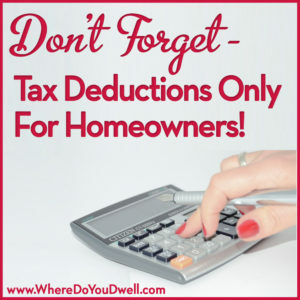 If you’re a current homeowner, you can take advantage of some key deductions that apply to only homeowners. If you’re not a homeowner yet, these tax benefits could make buying a home more affordable for you. Keep them in mind when determining your overall budget, since it could make all the difference for you. If you’re a 2016 homebuyer or seller, you can benefit from tax advantages specifically for this year. Here’s a good general overview of the tax deductions and advantages you should not miss out on if or when you are a homeowner! Unless you bought your home in 2016, this can be your largest deduction when it comes to owning a home. Interest paid on home loans is deductible up to $1 million for a principal residence plus a second home for married couples filing jointly. If you’re single, or filing separately if married, you can deduct interest payments up to $500,000. It also includes interest paid on second mortgages, a line of credit, and a home equity loan. You can deduct up to $100,000 ($50,000 if filing separately) for home equity debt. Property taxes on all real estate are fully deductible. If you bought a home in 2016, check the settlement sheet to see if you reimbursed the seller for property taxes he or she prepaid for a period you actually owned the home. If so, include that amount in your property tax deduction. It applies to private mortgage insurance premiums as well as FHA and Veterans Affairs premiums. You can deduct some of the costs associated with owning a vacation home, such as real estate taxes, personal property taxes, mortgage interest, and points. If you rent the place for 14 or fewer days during the year, the rental income is tax-free to you. If you rent it for more than 14 days a year, you must report the income but also may claim deductions for rental expenses. A boat or RV is considered an additional home as long as it has cooking, sleeping and bathroom facilities. The cost of maintaining and marketing a rental property can be deducted from the income the property generates, without regard to the owner’s tax status. These expenses include mortgage interest payments, insurance, utilities, maintenance, repairs, advertising costs and management fees, as well as the non-cash cost of depreciation. You can deduct the costs of a home office that you use exclusively as your principal place of business. If you rent out your own home for 14 or fewer days during the year, the rental income is tax-free. You can deduct any money paid toward points or origination fees at closing. Look for your settlement statement to see how much you paid. If you refinanced your mortgage, or took out a loan to buy a second home or investment property, deduct any points you paid equally over the life of the loan. For more information, see Publication 530 HERE. The Roth IRA allows you to withdraw contributions at any time tax- and penalty-free if used to buy your first home. If you moved 50 miles or more for a new job, deduct moving expenses. If the profit from the sale of your house is under $500,000 for married couples or $250,000 for single owners, you are exempt from capital gains tax. This exclusion can be used once every 24 months and you must have lived in your home at least for two of the prior five years in the home before the sale. Under the Tax Relief Act of 2012, the top rate for capital gains increased to 20 percent from the previous 15 percent. The 20 percent rate will apply to the extent that the taxpayer’s income exceeds the thresholds set for the 39.6 percent rate. All other taxpayers with income below the 39.6 percent threshold will continue to have their capital gains and dividends taxed at 15 percent. Please be sure to talk to a certified and licensed accountant or CPA to make sure you are taking advantage for as many of these tax advantages that are for homeowners only! 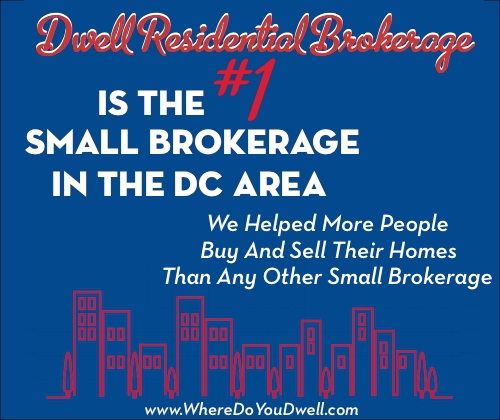 Depending on your specific situation, you may be able to take more or less than what we’ve outlined here, so be sure to contact a licensed expert who can walk you through what’s best for YOU!